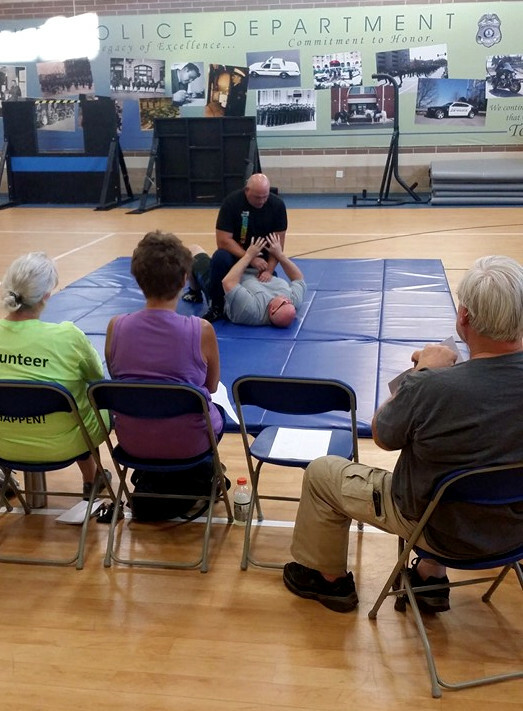 The Personal Safety Class is a program designed to help arm citizens with information, tips, and tricks to help gain awareness of their surroundings, strategies to help plan for the “unexpected”, and the confidence to deal with encounters that may arise in order to enhance personal safety. This class involves some physical activity, but it is based solely on the individual participant’s comfort level. This program is ideal for teaching to large groups, and has been taught at local schools, churches, and community groups. The cost of this course is 10 canned goods or non-perishable items, per person, which will be collected at the beginning of class. For more information on organizing and scheduling a class, you can contact Lt. Kermit Moore, Deputy Young, Deputy Beheler, or Deputy Warren.